Would you like to be able to hand your event attendees a physical ticket? 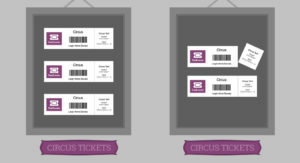 Are you looking for a way to sell physical tickets at your event or perhaps to a class or tour? We’ve got you covered! 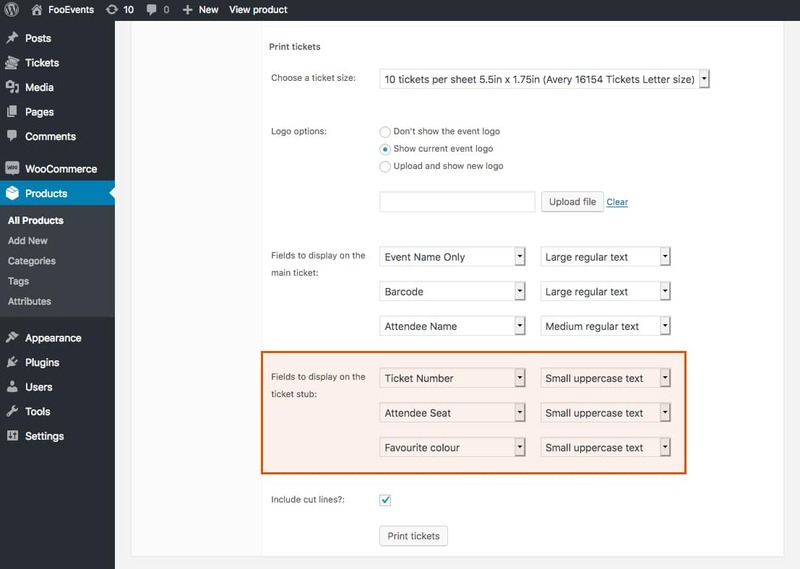 The new FooEvents “Print Tickets” functionality is now a standard feature in FooEvents for WooCommerce which allows you to create printable tickets by selecting the details that you would like to display on the main ticket as well as the stub. Using this functionality you can create tickets that display a logo and up to six fields such as barcode, event name, venue, attendee name, ticket number, seat number, and custom fields. These tickets are designed to be printed directly on the Avery Tickets with Tear-away stubs labels and you also have the option of enabling the handy print cut line setting so that you can print the tickets on standard paper/cardboard and cut them out with scissors or a guillotine instead. 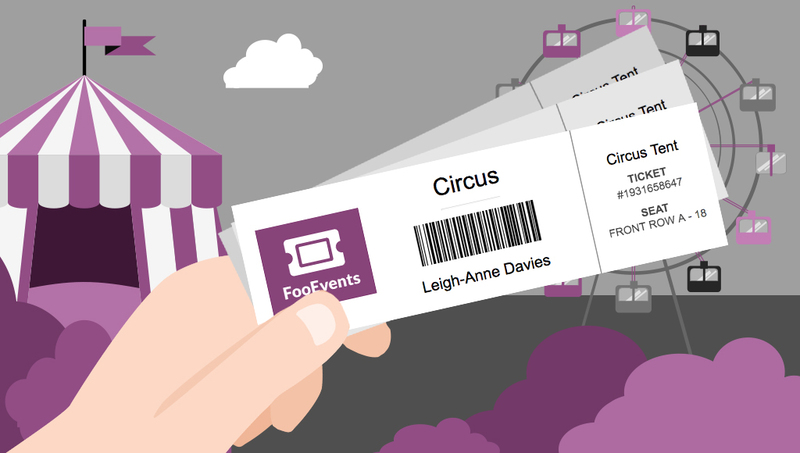 Sell tickets at a physical location so customers can gain access to a class or activity or allow paper ticket collection for an event where it’s not practical to use electronic tickets for example. Give attendees a physical keepsake with your branding to remind them of an event or activity with a coupon code to promote upsells and repeat business. All you need to create and print your own FooEvents tickets is the most recent version of the FooEvents for WooCommerce plugin (1.8.9+). Step 4: Select logo options. 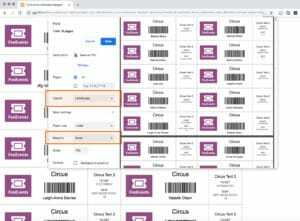 You can choose to have no logo displayed, display the current logo specified in the “Ticket logo:” field or your can upload a completely new logo. Step 5: Select 3 fields that you would like displayed on the main part of the ticket as well as the relative size of the text and whether it should be in uppercase or not. Step 6: Select 3 fields that you would like displayed on the tear-away ticket stub if you are using Avery labels, or the right-hand side of the ticket if you are printing on standard paper/cardboard. You can also select the relative size of the text and whether it should be in uppercase or not. 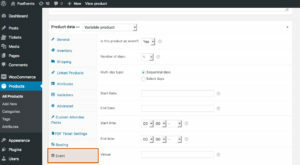 Step 7: Select whether you would like print cut lines displayed. 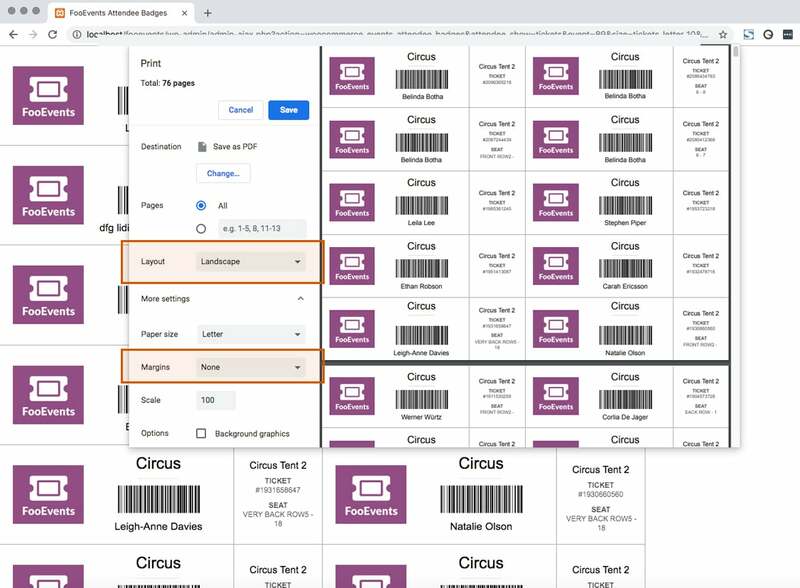 Note: If you are using label sheets you can deselect this option, but if you are printing the tickets on normal or adhesive paper you can select this option to assist with cutting the tickets out. Step 9: The page that contains the tickets should open in a new browser window/tab and you should see a print pop-up dialog. NB: Before printing, make sure that you set all print margins to 0 (zero) and remove any extra information that the browser might add such as page headers and footers. 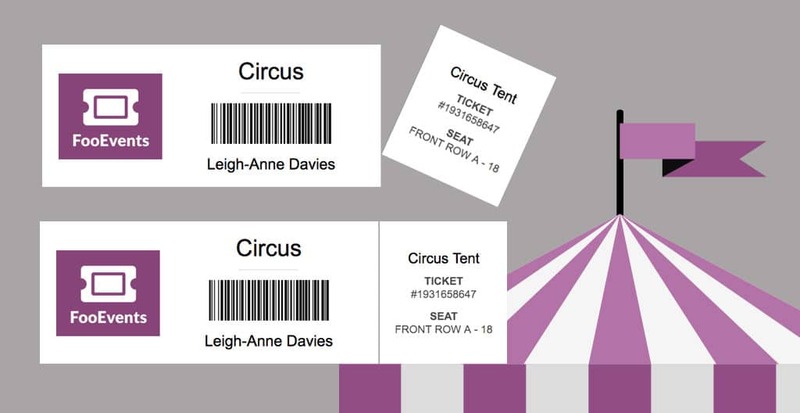 Let us know if you have any ticket printing suggestions or ticket/label sheet size requests as we’d love to hear from you!